Sino Celeb is a monthly feature where we introduce a Chinese celebrity to our readers. 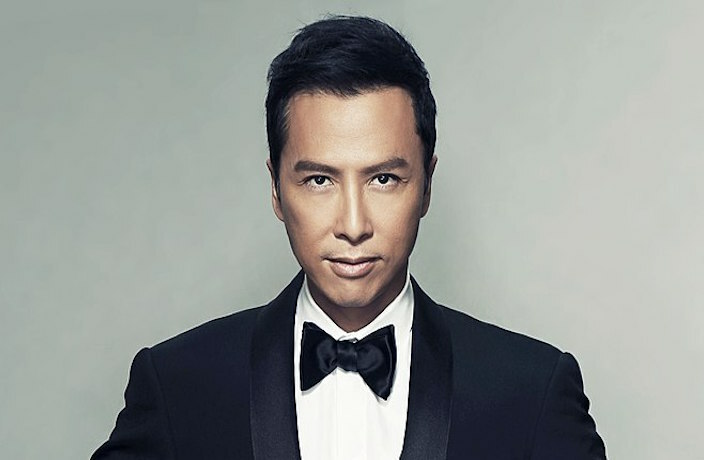 The Guangzhou-born movie star Donnie Yen is a jack of all trades, master of Muay Thai, Wing Chun, Jeet Kun Do and just about every other type of martial art. While his best-known flick to date may still be the Rogue One: A Star Wars Story, here’s a rundown of lesser known facts about the actor. Yen’s mother, Bow-sim Mark, is one of the most influential martial artists of the 20th century, and helped to popularize them abroad. She later emigrated to Brighton, Massachusetts, where she founded the Chinese Wushu Research Institute in 1976. After a period of teenage rebelliousness in which he got caught up in a local gang, Yen’s parents sent him to Beijing at the age of 14 to study martial arts and moral education. While Yen has been widely lauded for his turn as the famous martial artist Ip Man, he has also been very vocal about his admiration for Bruce Lee. Having another opportunity to align himself with the greats, he starred in the 1995 TV adaptation of Lee’s 1972 film Fist of Fury. During the making of the first Ip Man (2008) film, disputes arose between the producers and Wong Kar Wai’s team over the name of the movie. Wong’s take on the life of Ip Man was entitled The Grandmaster (2013) and starred Tony Leung, taking a more philosophical look at martial arts of the 1930s. While there may at one point have been some tension, Ip Man starring Donnie Yen and Wong’s film both went on to receive critical acclaim, each successful in their own right. For more Sino Celeb, click here. Here are all the major international movies to catch in Chinese theaters this January.